Archilogic, Ava, Gamaya, Gimalon and Monetas are the winners of the third Swisscom StartUp Challenge. The five start-ups will now travel to Silicon Valley in October, where they will have the opportunity to establish contacts with international partners and experienced investors and to finetune their business models with the help of mentors. 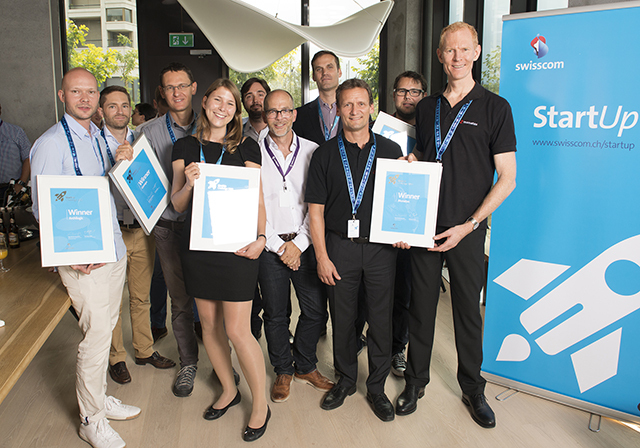 More than 150 start-ups from the world of IT & telecommunications, big data, FinTech, e-commerce, smart mobility, e-health, media and cleantech vied for a top spot in this year’s Swisscom StartUp Challenge. Ten of them made it into the final and had to make the deciding pitch before the expert jury today, Friday 14 August 2015. The expert jury is made up of Swisscom managers and venturelab experts. 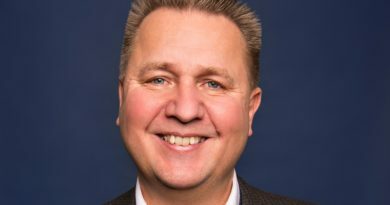 “Once again, the pitch showed just how much innovative capacity exists among Swiss entrepreneurs,” says Roger Wüthrich-Hasenböhler, the initiator of the StartUp Challenge and Head of the SME division at Swisscom. Five start-ups succeeded in making an impression on the expert jury with their business models: Archilogic, Ava, Gamaya, Gimalon and Monetas are the winners of this year’s StartUp Challenge. Their prize – a tailored mentoring programme in Silicon Valley, the world’s leading IT and high-tech industry hub. “The prize for winning the StartUp Challenge is not just an opportunity, but it is also a further challenge in itself,” explains Roger Wüthrich-Hasenböhler. 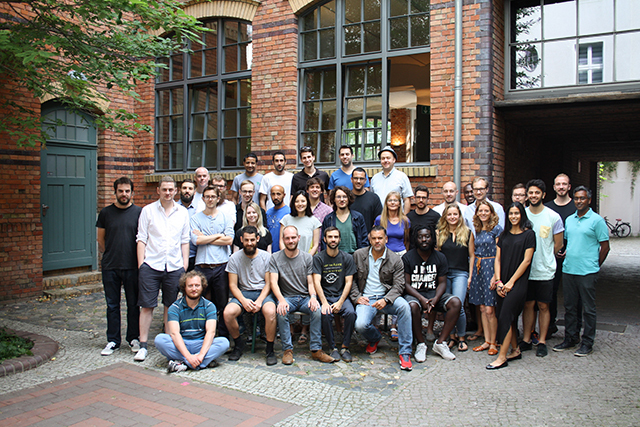 “Although we open important doors for the winners with the mentoring programme, it’s up to them to seize the opportunity and fine-tune their business model as well as impress potential partners and investors.” The five start-ups will embark on the one-week mentoring programme on 11 October 2015. Archilogic breathes life into 2D plans and from them generates 3D models of apartments, rooms or houses. The browser-based, interactive 3D models allow users to virtually walk through property online and even to furnish it. The models can also be shared as a link via e mail or social media and can be integrated in websites or presentations. Ava has developed a wearable technology that helps couples conceive and bring a healthy child into the world. The arm band, based on a fundamental understanding of human physiology, reproductive medicine, sensor technology and big data analysis, is worn at night and produces precise measurements of all the parameters that allow couples to reliably determine when the woman is ovulating. A mobile app then discreetly and reliably indicates on which days the woman will be most fertile. Using a hyperspectral imaging (HSI) camera, Gamaya renders the chemical composition of substances visible, capturing details the human eye cannot see. The technology is intended for the analysis of plants and arable soil in a bid to make farming more efficient. It delivers data that allows farmers to recognise when a plant or soil is lacking water or nutrients, thus allowing them to work their fields and combat diseases in a much more targeted manner. The Crowd app, developed by start-up Gimalon, helps users coordinate their leisure time by making it easy to organise a meet-up with friends or a party. It allows groups to exchange information and to vote on things to do and the time and place to meet. The app also offers another advantage: it acts as an event calendar and personal agenda. 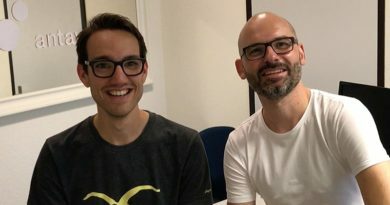 Monetas is developing a decentralised system for financial and legal transactions. The platform enables quick money transfers, as well as transfers of valuable items that can be transferred digitally, such as shares or contracts. The items are safely stored thanks to the combination of Bitcoin technology and a cryptographically secured P2P network. These decentralised networks allow institutions, private individuals and business customers to trade all national and digital currencies, as well as any kind of security. Whoever sets up a company should be prepared for a marathon!